Failure is something that’s always at the back of the mind for most SMB owners. After all, 90% of all startups fail. Of course, there’s more than one reason for that and the methods and statistics are different for each business. But this doesn’t change the fact that the chance for failure is still very high. There are not a lot of factors you can control as a small business owner. In fact, many things that impact your success might be just out of reach. Even if your solution is great, your marketing is on point, and you manage to stand out from your competition – you still might fail. This is the unfortunate reality for most SMBs. But the one thing that you can control and determine your success has to do with finance. Finance is indeed an often complicated area for most startups because of how wide the topic can be. Not to mention most entrepreneurs aren’t financial experts and are making it up as they go. So, today we’ll be looking at some of the many finance problems SMBs face and how to solve them. Problem: Not managing your cash flow properly can seriously harm your business. More specifically, your operating activities, which include your primary means where you generate revenue and expenses. Solution: Unfortunately, there is no one-size-fits-all solution. And you only get better at managing your cash flow in time through experience. Instead, what you can do is zoom in on each of your financial activities and look for places where you can cut costs and increase revenue. Remember: you can’t manage what you can’t measure. So, start there. Problem: Getting paid as is can be hard on its own but sending out invoices that get a late payment (or if they get paid at all) can really mess with your cash flows. Solution: One of the most difficult things about being an entrepreneur is that your payment doesn’t seem to be guaranteed. If that’s the case, you need to think about getting your invoices paid on time because chances are, the money will be a huge help. What you can do is look into invoicing systems to help speed up the whole process. By setting up your recurring invoices on autopilot, you’re saving a lot of time and money. And by sending electronic invoices, you can even get paid before your invoice is even due. Problem: Proper management accounting is another essential, yet difficult area for startups. Proper accounting can stand between you making money or burnout. The more things you can measure and track in your accounting system – the better. Solution: Take a step back and examine your system as a whole, taking into consideration your needs and requirements. Quality is conformance to requirements, so, you need to be thinking about what you hope to take out from your accounting system. Ideally, your accounting system should be clear and ensure success for your business. If you can even automate parts of your accounting (more on this later) – even better! Problem: Low profit margins on your products and/or services. Because expenses come in different shapes and sizes, keeping track of all the money leaks can be hard. Solution: Start tracking as many expenses as you can and learn to prioritize them. Learn to separate personal and business finances and become more organized. For example, instead of using random receipts and writing notes, start keeping track of your expenses electronically. 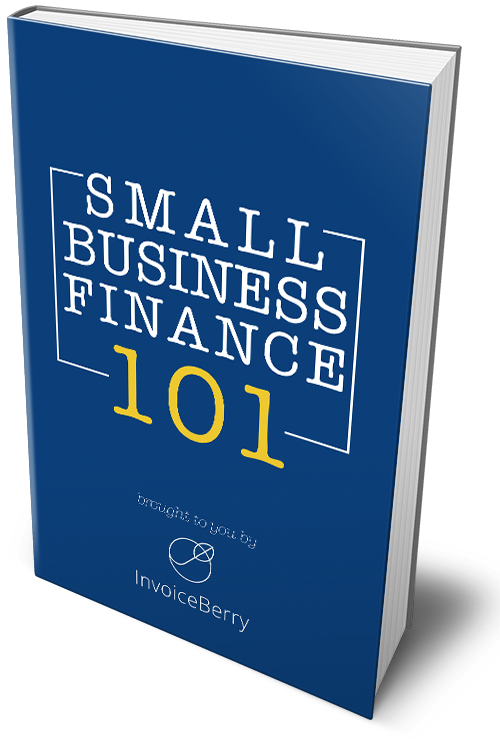 InvoiceBerry does more than just invoices, and it can help you become more disciplined in your business. Problem: Not thinking about the potential dangerous financials areas of your business that might come up in the future. Solution: It’s not just about being organized and keeping track of your expenses. As a business, ideally, you should also be planning ahead in case there are any potential financial expenses that might come up. Once you start keeping track of your expenses though, you’ll get to know the flow and can even prevent potential financial crises. Problem: This is another common problem for most SMBs. If you ever want to scale up as a business and take on new employees – you need to think about getting funded. Even if you’re just starting out, you need to have long-term plans. Solution: Finding the perfect funding solution can be hard and take a lot of time. On the bright side though, the choices are plenty when it comes to getting funded. There are traditional ways, like putting in your own money or taking a loan, what you can also do is try crowdfunding or a kickstarter. Though, of course, a lot of this depends on your already pre-established success as a business. If you’re not sure where to begin as an SMB, start with creating a strong business plan, but also be sure to have potential funding ideas at the back of your mind. Problem: Losing time and money by not automating your accounting process. Solution: Using quality accounting software saves a lot of time compared to manual bookkeeping. But the benefits don’t end there. When choosing a quality software, keep in mind the simplicity and how easy to use it is. For example, creating an invoice with InvoiceBerry takes less than 60 seconds and is designed to save hours upon hours. Ultimately, preparing detailed invoices in your accounting system is only the first step in automating your business as a whole. All in all, the finance problems spread across different SMBs are always unique to each of them. But from a broader scope, some issues they face (e.g. regarding accounting) are more or less the same everywhere. If you want to succeed as an SMB, you have no choice but to overcome the business and financial challenges in the startup world. With forethought and planning ahead though, it’s still possible to come out on top. It might sound tedious, but sometimes you have no choice but to go over your profit and loss statement until you find what’s holding you back. For all other things though, you can use accounting software like InvoiceBerry to speed up and automate your accounting process.